Precision Trolling & Line Diameter Equivalents. Hi all fishing lovers, Today’s post is “Precision Trolling & Line Diameter Equivalents”. We hope this article is ideal for you, all fishing lovers. 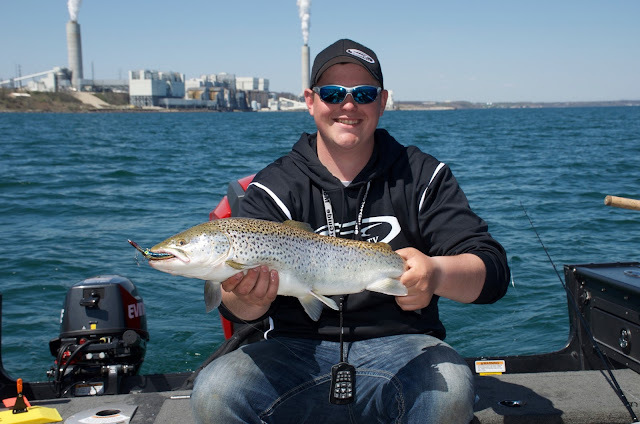 Most of the Precision Trolling Data customers are walleye anglers, but the data provided by the PTD apps is also widely in use for other species like this brown trout taken by Jake Romanack near Milwaukee, Wisconsin. A number of variables influence how deep a crankbait or other piece of trolling gear will dive. Of these variables, line diameter ranks as one of the most important. Thinner lines create less friction in the water while trolling, allowing lures and trolling gear in turn to reach greater depths. In contrast, using heavier lines increases the amount of friction and therefore reduces the diving depth of popular lures and trolling gear. On average the amount of depth lost or gained when fluctuating from the line diameters tested and documented by the Precision Trolling Data apps amounts to about two feet of depth at the maximum lead length. For example, if a popular crankbait is running 15 feet deep on 10 pound test Berkley XT 150 feet back, that same bait will run about 13 feet deep (two feet shallower) when fished on 12 pound test Berkley XT. From a practical standpoint it would be difficult at best for the staff of Precision Trolling Data, LLC to test all the available line diameters and line types in popular use by trollers. The logical approach is to test various lures and devices on line diameters and types that are the most practical, popular and in wide use. For example, the majority of the crankbaits featured in the PTD apps and “Stickers” are baits that are primarily used to target walleye and therefore 10 pound test monofilament and or 10/4 Fireline super line are practical and popular line diameters and types to feature. However, some of the crankbaits featured in PTD are designed for both warm water species like walleye and cold water species like trout and salmon trolling applications. 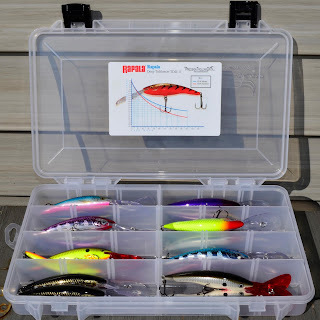 To provide the most information as practical, these lures are tested on both small and large line diameters. line diameter suitable for both trolling applications. For example, the Yakima Mag Lip 3.5 and 4.5 plugs are tested on both 10 and 20 pound test monofilament lines. Other devices like the larger sizes of diving planers are generally tested on larger diameter super braid lines, but these devices are also routinely tested using wire line. It’s also worth noting that different line types often share a similar line diameter, but not necessarily break strength. A shared diameter makes these lines especially useful for anglers who need the extra break strength, but at the same time don’t want to sacrifice any of the diving depth of their favorite lures and trolling hardware. For example, Berkley XT monofilament in 10 pound test is used in much of the PTD testing and this line is about .0135 in diameter. It’s interesting to note that most 40 pound test Spectra based super braids are also about .0135 in diameter. This means that anglers can substitute 40 pound test super braid lines for 10 pound test monofilament and enjoy the same precise depth data published in the PTD apps and “Stickers”. It’s also important to note that not all monofilament lines are the same diameter for a respective break strength. Berkley XT 10 pound test is about .0135 in diameter and Berkley Big Game 12 pound test is also .0135 in diameter. Either of these lines can be substituted without impacting on the data published in PTD. Co-polymer lines are also an intriguing subject for the serious troller. In general, co-polymers are much thinner in diameter than nylon monofilaments for popular break strengths. Berkley’s popular Sensation line is about two line diameters thinner than comparable monofilament lines. Berkley Sensation in 14 pound test is about .0135 in diameter or similar to 10 pound test Berkley XT monofilament. For the angler who is interested in studying line diameters and line types the sky is the limit in regards to options that fit nicely with the research conducted by Precision Trolling Data. The web page www.mels-place.com provides a convenient list of the line diameters for hundreds of fishing line brands and types. This information in effect gives anglers an almost unlimited license to substitute line types and brands for similar line diameters used in the Precision Trolling Data apps. Back in the day Precision Trolling published a line conversion chart to assist anglers in selecting different line diameters for various trolling applications. When this research was conducted more than 20 years ago anglers had relatively few line types to pick from. Today with the market flooded with line types, diameters and brands the ability to produce a useful fishing line conversion chart would be 10 fold more difficult to create and use. At Precision Trolling Data, we feel it is more practical to teach anglers to pay close attention to line diameters and substitute line types and diameters for the “base lines” that are used in the PTD testing. Trollers these days are using a host of different line types in their fishing including monofilament, co-polymers, fluorocarbon, fused and super braid lines. By paying attention to important details like line diameter, anglers can use a host of different line types that match perfectly with the depth data provided by Precision Trolling Data, LLC. Fishing harder is always a good way to put more fish in the boat, but in this case fishing “smarter” is equally important. The smart troller employs a host of different line types and diameters that best suit specific trolling chores. By paying attention to critical details like line diameter, the modern Precision Troller can have his cake and eat it too! opportunities while enjoying accurate depth data. 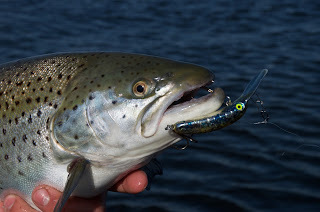 Previous post Why Fly Fish from a Kayak?